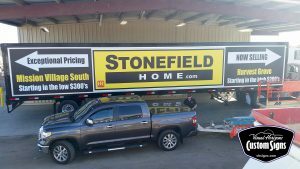 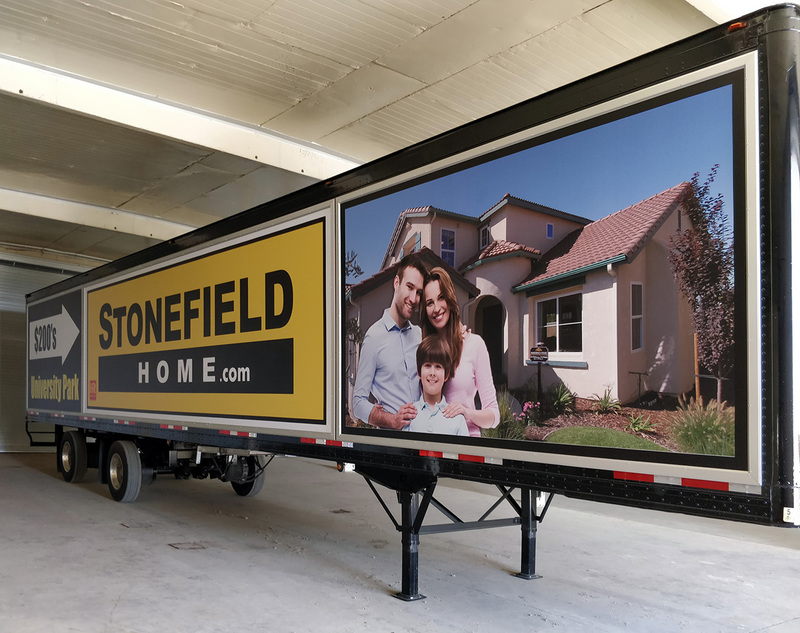 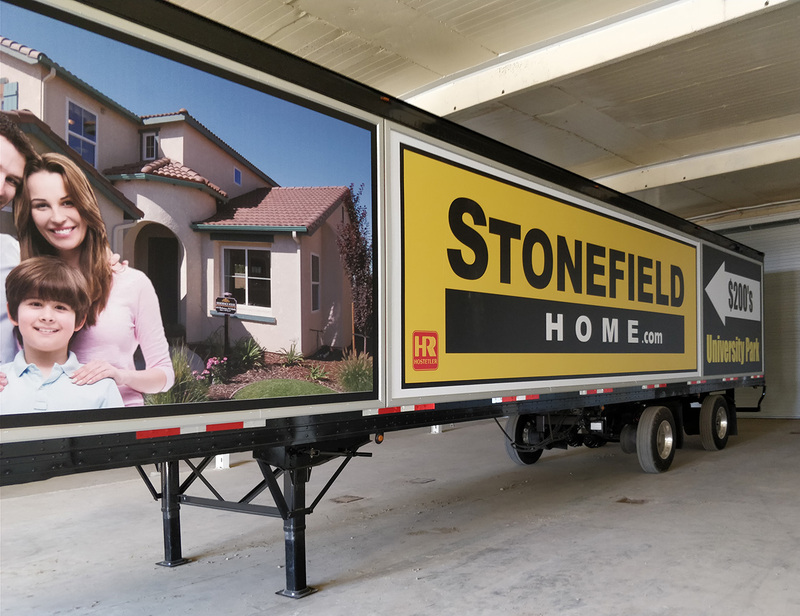 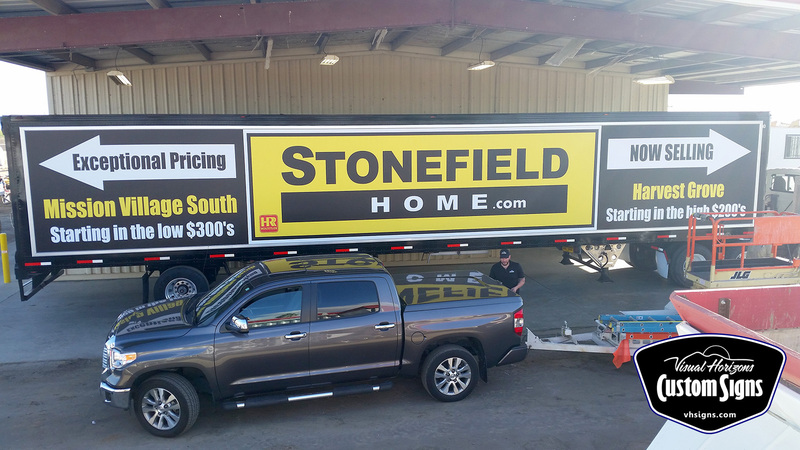 Using Ackland Media Frame systems we’ve ‘wrapped’ multiple trailers for Stonefield Home. Instead of applying vinyl graphics we are instead able to attach a frame system and full color printed banners. 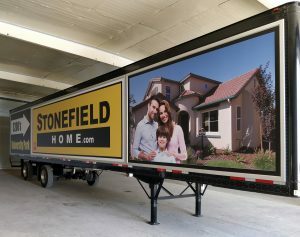 Whether the trailer surface is in good shape or not, we’re able to turn these trailers into oversized, rolling billboards!